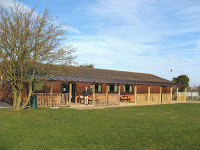 Bubbenhall Village Hall is a registered charity (No: 503111). The Constitution requires that the Village Hall Committee of Management shall consist, when complete, of 16 persons: 5 elected members and 11 Representative members. In addition 2 Co-opted Members may be appointed. The committee meets about ten times a year. The next meeting will be on the 21st May at 8:00pm in the village hall.